High school graduation is one of those monumental events in a person’s life. It’s the transition from being a kid to adulthood, and with it brings a lot of emotions for the graduating senior, but also for the parents. Ann Burnside understands these emotions all too well. 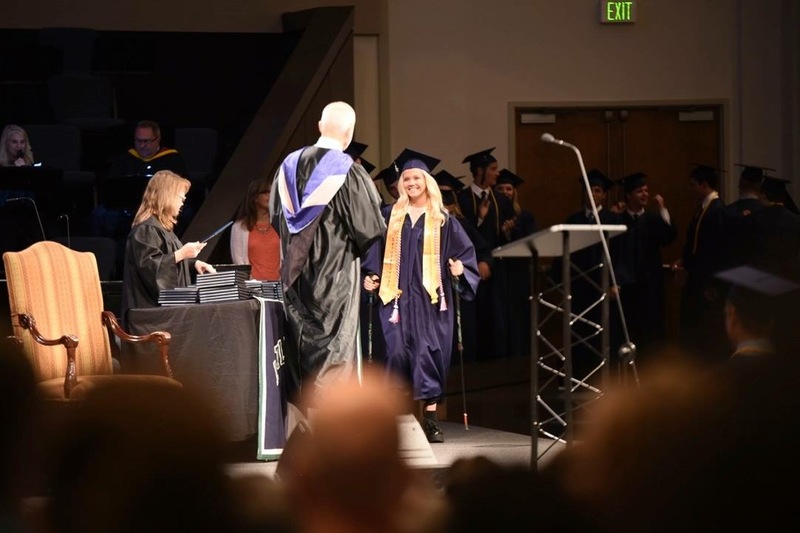 Her youngest child, Georgiana, is graduating from Little Rock Christian Academy in May, and at the end of the summer will be moving nearly 2,000 miles away from their home in Little Rock to Palo Alto, California. This move will be especially difficult for Ann and her husband, Bob, but at the same time, it’s exciting and rewarding because their daughter Georgiana has overcome incredible hurdles to even get to graduation, not to mention being accepted into one of the most prestigious universities in the country. In March 2015, Georgiana was skiing in Snowmass, Colorado with a friend and her family. During a ski run, she hit a rough patch that sent her airborne, resulting in a T12, L1 burst fracture on impact (her lower spine was severely injured). She spent nearly two months at Craig Hospital, and returned in the summer of 2016 for an additional six weeks of therapy in the PEAK Center. Now, just over two years since the skiing accident, Georgiana is graduating second in her class, and will attend Stanford University to study human biology and public policy, with the hopes of becoming a doctor. Georgiana’s last two years of high school have been anything but ordinary. She jumped back into advance placement (AP) classes, maintained a 4.51 grade point average, continued her sometimes grueling daily therapy, all while keeping her eye on her end goal of attending Stanford. “I am so proud of Georgiana’s determination to remain active in school and the community. 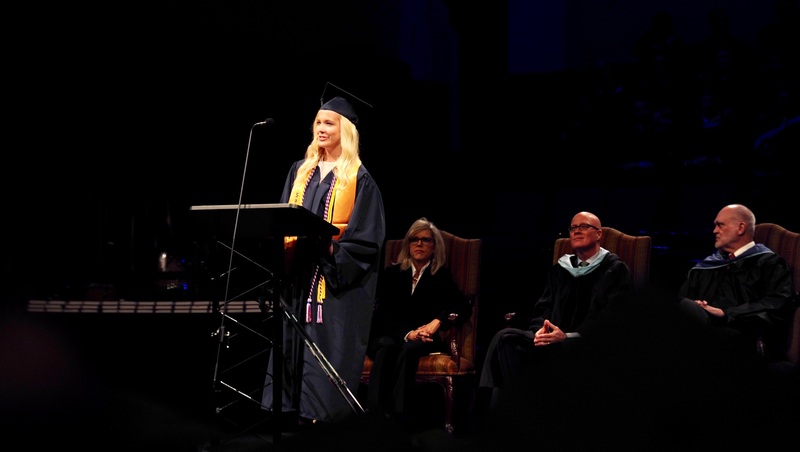 She took a challenging AP course load and participated from the sidelines with the volleyball and cross-country teams. She joined United Spinal Arkansas and has learned the role it plays in the lives of Arkansans with spinal cord injuries. Georgiana also volunteered once a week at our local Easter Seals in their rehab department,” said Burnside. Georgiana is able to walk with the use of leg braces and hiking poles. In March, she spent a week skiing, snowmobiling and doing therapy, all with the High Fives Foundation in Truckee, California, which supports athletes with life-altering injuries. “In Lake Tahoe, I met a mom whose daughter is a paraplegic and has successfully completed college and graduate school. She was extremely helpful and encouraging on how to ‘let Georgiana go’. I am proud of Georgiana's fearless determination and I am thankful she has maintained a strong faith and hope in her future, in spite of her challenges. She isn't one to easily give up on her dreams." Until Georgiana leaves for Stanford, she is excited to be employed in her first summer job since her accident. She will also be attending another adaptive sporting event with High Fives, as well as traveling to some fun destinations for two weddings. As Georgiana's mom and dad watch the summer unfold, they will be anticipating the 2,000-mile trek to Stanford, knowing it will arrive sooner than later. The journey is going to be taking a new direction with new opportunities for Georgiana, but given all that she’s overcome in the past two years, we can’t wait to see what’s next for her.